I’m like my dirty little air tug beside her elegant skyliner. 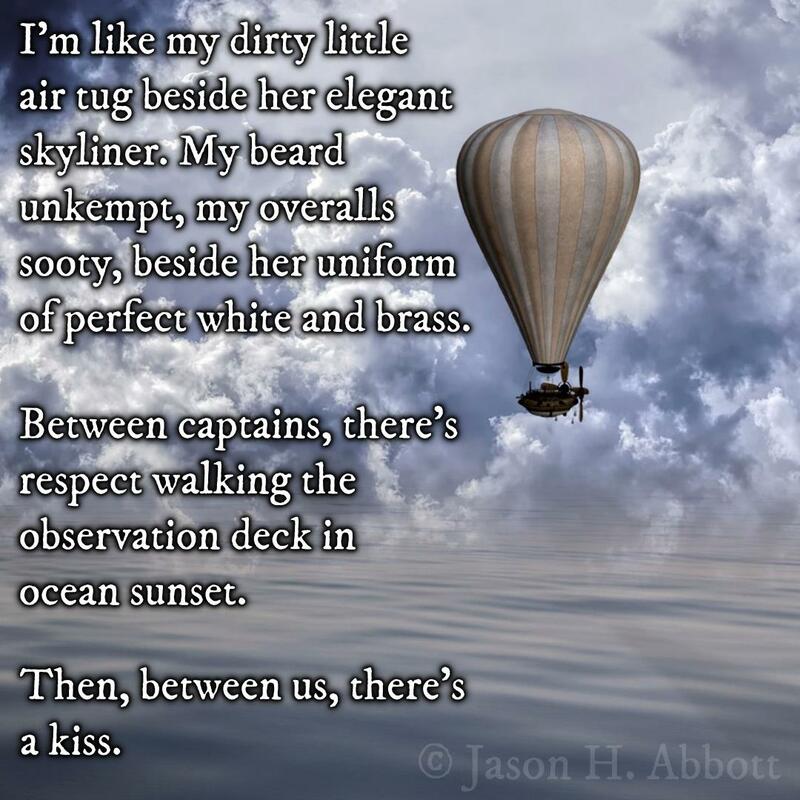 My beard unkempt, my overalls sooty, beside her uniform of perfect white and brass. Between captains, there’s respect walking the observation deck in ocean sunset. Then, between us, there’s a kiss.